If you know your current password and would like to change it, please follow the steps below. Hover over your initials on the bottom left of any Buildingblok page. Then select My Account. From the Profile tab click the Change button next to the Password field. Enter your new password, re-enter to confirm your new password and then enter your existing password. When you are ready, click the Update button. If you have forgotten your password and would like to reset it, please follow the steps below. 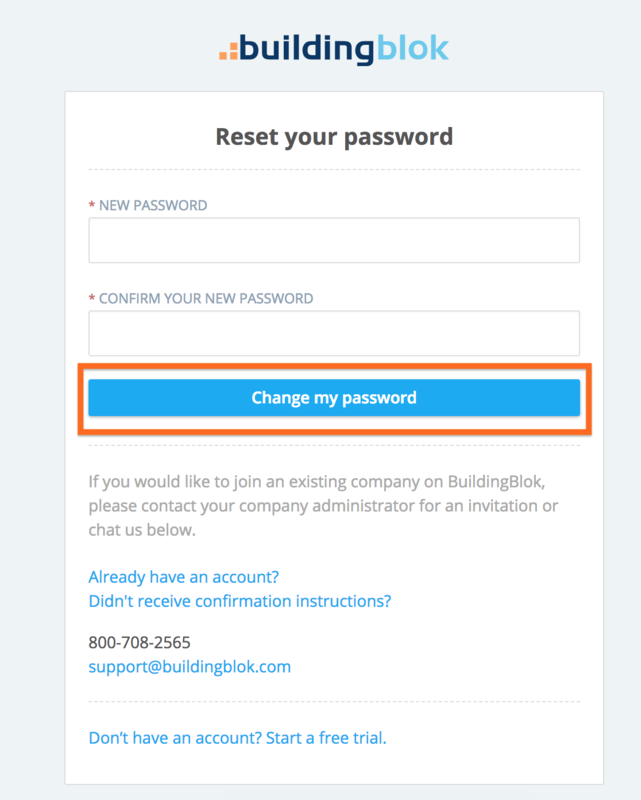 From the main BuildingBlok Sign In page click the Forgot your password? link at the bottom of the sign in form. Once you are on the Forgot your password page, enter your email address and click Send Password Reset Link. 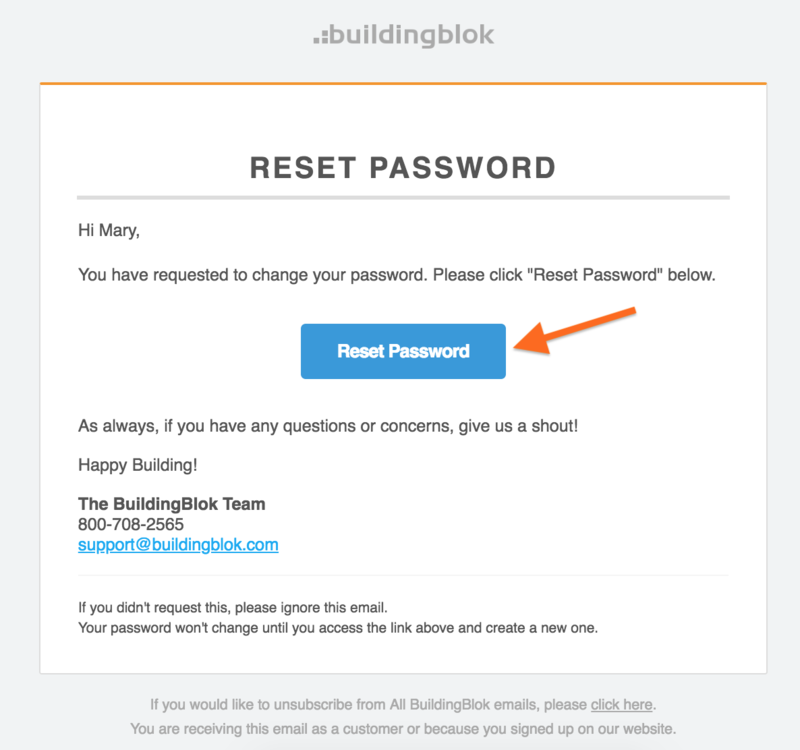 If your email address is associated with a BuildingBlok account, an email will be sent to you containing a link to reset your password. Click the reset password link in the email. Enter a new a password and re-enter your new password to confirm your password. After you click Change My Password, you should be able to sign in to your account again.